Galway Food Tours will go touring through Salthill on Wednesday August 22 with everything the food enthusiast could want. Poitin, craft beers, a little jazz and wine, Kombucha, and coffee are just some of the refreshment highlights all paired with signature small plates from the Black Cat, share platters from Oslo Bar, seasonal veggie boards in The Nest, and a sweet treat or two from Murray's local bakery. Galway Food Tours was started in 2015 by Sheena Dignam and the business has certainly found its feet and is enjoyed by both Irish people on staycations and international tourists. Sheena, who is joined by Gosia Letowska, is on the streets of Salthill showcasing the incredible food, produce, and most of all people who are behind what we are now seeing in our shops and on our plates. Telling stories and sharing a slice of life is why people travel. Getting that insider culture of where to eat, drink and enjoy life in the city is invaluable. 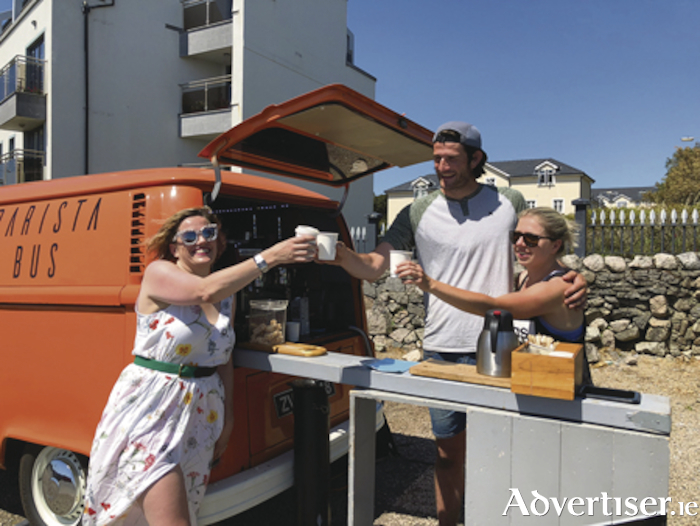 Taking to the coastal streets of Salthill, this food tour will showcase the best of what this seaside village has to offer. From signature Galway roasted coffee, to the now internationally acclaimed Micil Poitin, this food tour will show Salthill off. The tour will begin at the new Micil Poitin distillery where Padraig will talk through the making process and legalisation of this traditional Irish spirit, all while guests enjoy a cocktail aperitif. Then on to Oslo Pub which is owned by the Galway Brewery. Here the impressive selection of beers and international brews will be paired with tasty bites and there will be a talk on the microbrewery scene. Crossing the street to the Black Cat, the talk will turn to jazz and to accompany this, guests will taste a couple of the signature dishes paired with a glass of wine. On to the funky boutique hostel, The Nest where Agatha Lisik (who has a master's in microbiology, and comes from a Polish tradition of pickling ) will give a talk and a practical approach to fermentation/pickling and Kombucha making. This will be accompanied by seasonal veggie treats. Finally, it is on to the Barista Bus to sample the delights of Calendar Coffee Roaster and sweet treats from local café/bakery Murray’s. The tour will kick off at 6pm. Tickets, priced €75, are available from www.galwayfoodtours.com or call Gosia 087 6444678.